I want to continue talking about the body’s energy sources. For starters I recommend that you look at what I said about the charkas a couple of weeks ago if you’ve not had a chance to do so. O.K now I’ll introduce you to the human Aura. The charkas and the Aura go hand in hand as your defense against intruding spiritual forces. The Aura is described as being everything from a light emitting from the body to a force field, or universal energy field. I’ll explain basics of what the human aura is about. 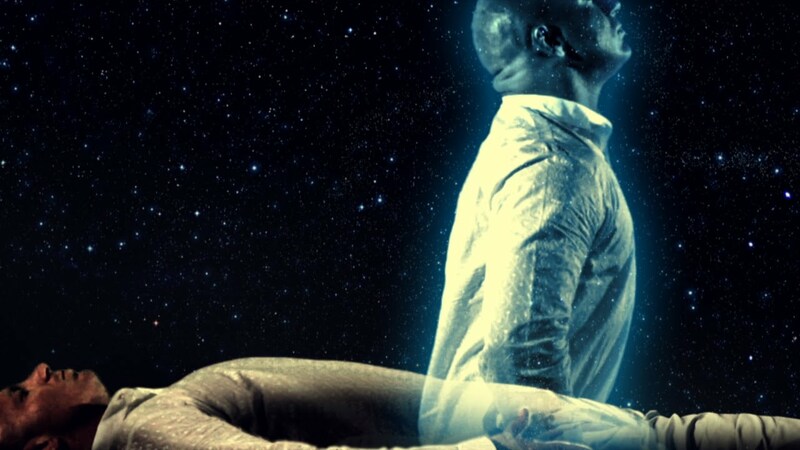 Now, recognize that the component of the Aura the auric body has many planes; some are vibrating at a higher frequency, and is responsive to our spiritual needs. While others vibrate at a lower frequency and are responsive to our material/physical needs. We’ll look at nine of the integrative auric layers and their function as it relates to the human energy system, as mentioned the whole system includes the charkas. There are four natures to the Aura. The first one is its predictive role. The predictive role of the Aura relates to its ability to pick up on possible problems or opportunities. The second nature is that of being adaptive. Wherever we go we get a certain measure of the environment that we are in, we take note of what affects us in that environment, then we make decisions about what change needs to be made and how we should shape ourselves so that we could function and fit into the environment. The third nature is a responsive role. The responsive nature of the Aura helps us to locate and address disease, mental problems, and inappropriate belief systems; whether we over extended or deny feelings, relationship issues, career concerns, and spiritual misconceptions. The fourth nature is the protective role. This amounts to taking care of us in any situation. Detecting dangers or opportunities, adapting to change, detecting illness and charging the body’s immune system, and inner mental concerns are things that we act upon according to the circumstances, and energy that is detected by the aura are all done on an unconscious level. 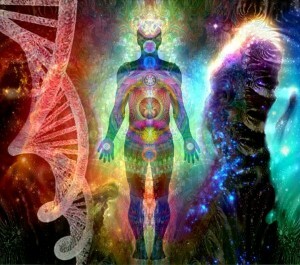 The Aura is not separate from the physical body, we can think of it as being an extension of the body. 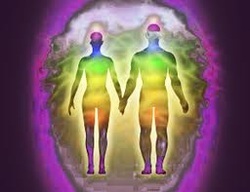 The Aura is an energy field and as an energy field the Aura comprises of layers that is called auric. The auric is interlaced with the charkas and the various energy points located on the human body. Also each of the layers has a physical, mental, material, and spiritual dimension and purpose. The first auric layer is the skin and aspects of the physical body. Like the first charka, it is linked to our primal feelings. The skin also regulates the interaction between our insides, and outsides, as well as helping to create a form to house our spirit. It is interesting I want to note that it is considered that physical anomalies such as acne, psoriasis, and shingles, may indicate first charka (root charka) issues, which is reflected by the skin since it is the first auric layer. The second auric layer is also known as the feeling body. The field connects our internal feelings, reality, events, people, and experiences on the outside. The second auric layer roughly follows the contour of the body, intersecting in the front and back with each of the chakra; it bulges around the second chakra. The color varies form person to person, depending on their nature, and programming. It links us to energies that stimulate our feeling, and the energies that carry waste products away. 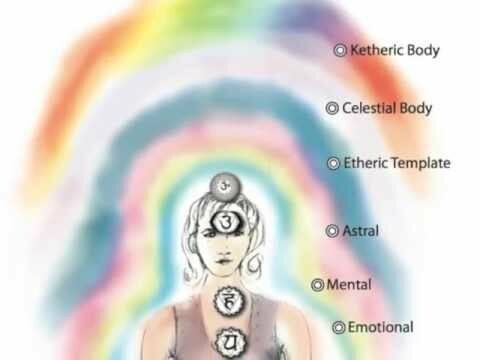 The third auric layer is commonly called the mental body, and it is related to the third chakra. The location of this auric layer emanates from the front and backside of the third chakra. It looks like a matrix or network pattern running atop and through the second auric layer. It assists in opening us to the energy of ideas, concepts, and notions that affect our physical lives, particularly with our digestion and metabolic systems. The fourth auric layer is associated with our hearts, and it is the astral body. The location of this layer lies atop the mental auric layer, surrounding the physical body with an approximately one-foot thick glow. It gives us clues to our ideas, about relationships and our beliefs regarding what we deserve. The fifth auric layer can be also called the parallel field. The location of this layer begins from out of our body. It links into parallel a universe, and it also skims along the grid points of other dimensions. It connects us to realms of possibilities so we can select which beliefs, truths, and realties that reflect us in the most authentic way. The sixth auric layer is composed almost exclusively of light, which is why it is labeled celestial body. It appears to be a glow of light around the body. This is because the matrix pattern is interlaced and fine. This energy is concentrated around the heads of most people. However, ideally it should be spread out around the entire physical body and appear spiky, with strands of light connecting it to visible and invisible realities. This layer reflects thoughts and thought patterns that we hold about ourselves. The seventh auric layer also called the “ketheric auric layer,” it is usually considered to be the last one framing the physical body. Its appearance resembles an egg form, extending about around the physical body. It is connected to the ketheric realm, it also penetrates the tenth charka, and this assures our spiritual connections to the outer world are grounded in the material world. This layer reveals to us the actual or symbolic self associated with our spiritual purpose. The eighth auric layer relates to the eighth charka, which concerns itself with the past, present and future time and all our experiences within time. 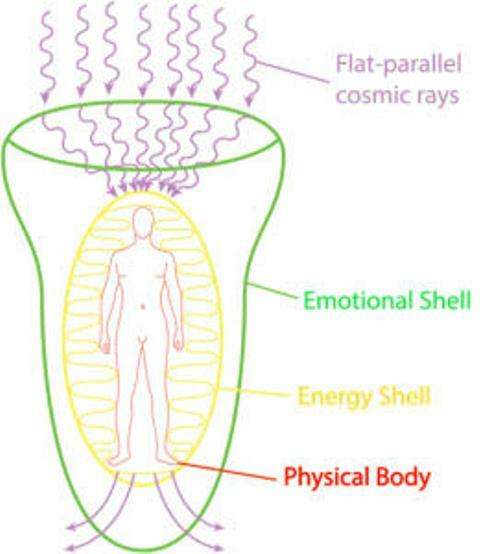 The energy field, connects in through the top of the head, and then spreads around our body, attaching to the primary and secondary chakras, the front and back. Generally it keeps us plugged into the present time, and provides us with a context. The ninth auric layer relates to the ninth charka. 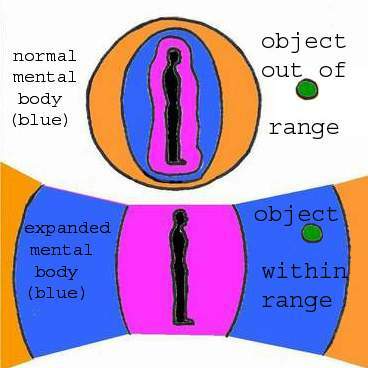 On the physical plane it occupies a very small space; the space is so small it is almost non-existent. Most of it is in the astral dimensions. It is a boundary for and the content of the world of our soul, being the heaven that we are looking to achieve, be it on this planet or anywhere else. The integrative auric layer relates to the tenth charka, many people call it the etheric body. It lies next to the skin, when we feel secure it can extend up and away from the skin. When we are feeling threatened, it can cling skintight onto the skin. The integrative layer can serve as a pathway between the physical world, and the spiritual world. Thanks for your service … this is a pretty intense post, looks like you’ve done heaps of research! Your qualifications are interesting, I used to do similar work … volunteer now with an NGO supporting those with mental health issues.